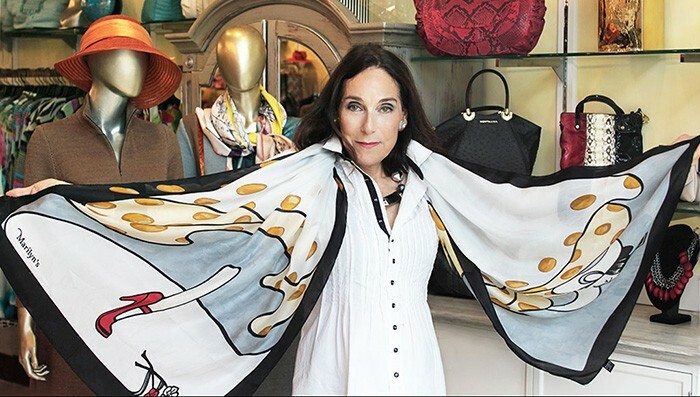 Marilyn’s Signature scarf featuring the “Spanish Lady” icon has been redesigned with a fresh new color palette and perfect size for a great fashion accessory. The new white and silver textured background with black borders, yellow and light blue color accents with an artistic drawing can add a special accent to any solid white blouse, black and white patterned blouse and black dress or jacket. For more ideas about how to choose and wear fashion accessories, a visit Marilyn’s Video Channel on Youtube.